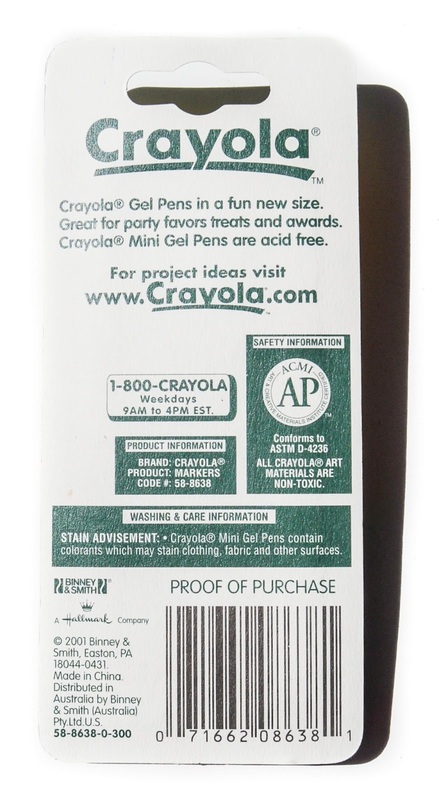 Crayola has a line of mini gel pens! How crazy is that? 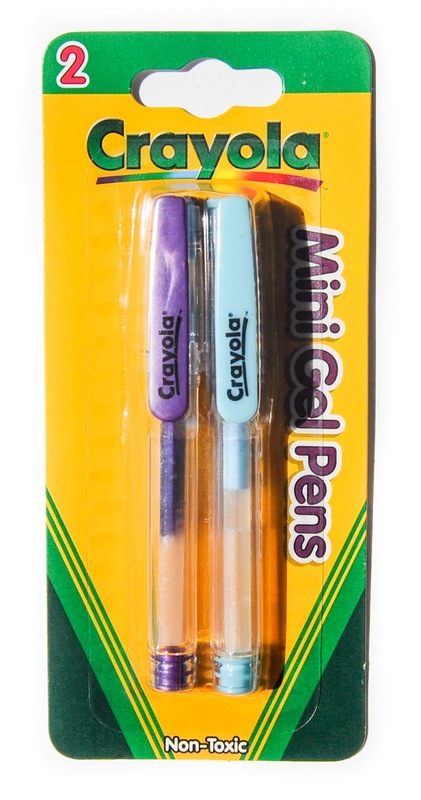 This set of Crayola Mini Gel pens comes in two colors, purple and sky blue, and was released in 2001. I bought it from a fellow Crayola collector. I loved gel pens when I was a teen. The gel pens have a 58 style/code number the same as markers. It is interesting to note that Crayola does indeed make these under the Crayola umbrella. Many times items like these are licensed out.